Jeffrey Mazlin, M.D. 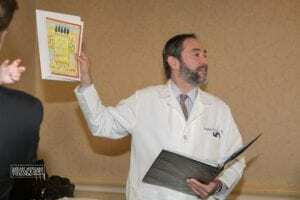 has been a Certified Mohel since 1986 and has performed several thousand brises in the tri- state region. He is a practicing Obstetrician who has delivered thousands of babies at Lenox Hill Hospital through his private practice. Dr. Mazlin has been a member of NOAM (National Organization of American Mohelim) since 1986. He has been on the Bris Milah Board – which certifies and qualifies physicians who are candidates to be ordained by Hebrew Union College from the Reform movement.